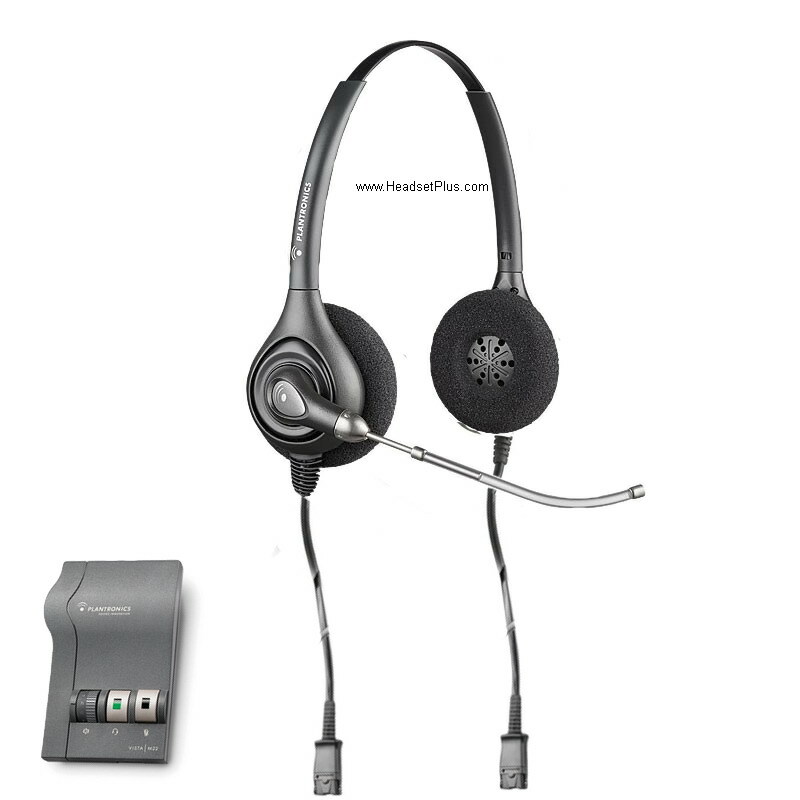 Plantronics SMH 1783 dual ear headset allows the user to listen to two separate audio source at the same time. Each speaker connected to its own separate audio device and sound source. One side from the telephone, the other side from an 3.5mm device, such as a computer sound card. It's designed for 2 purpose - (1) for a visually impaired person OR (2) for an office worker who needs to do dictation and be on a phone call at the same time. listen to dictation in right ear and listen to telephone calls in left ear. This headset system allows users who are visually impaired to use a telephone and at the same time access information using a computer via text-to-speech conversion hardware. SMH1783 also allow you to listen to the phone call in left ear, while the keystrokes are announced in right ear. This headset package includes a custom built Plantronics HW261 SupraPlus headset and M22 amplifier.